Thom Henley sees him self as a citizen of the world and his travels to more than 130 countries and all continents (including Antarctica), overseas work and adventures and his adoption into indigenous tribes worldwide, seems to support his case. The Haida people of Canada's most remote archipelago have formally adopted Thom bestowing upon him the name "Yaahl Hlaagaay Gwii Kaas" (Raven Walks Around the World). To the interior, British Columbia Thompson people he is known as "Qualum" (Original Path). The Penan of the rainforests of Borneo have honored him with the name "Pepejek Urip" (Lifting Life Upright), and the Mentawai indigenous peoples of Siberut Island, Indonesia call him "Utut Kunan" (Forever and Always Lucky). Thom's Newari name, bestowed in ceremony in Nepal's Katmandu Valley, is "Tahari Ara" (Big Brother). His adoption into a Tibetan family carries an honorary name given by the Dalai Lama himself - "Tenzin Chdrk" (Strong in Spirit)… and his African name - “Omulebeleze” (Guardian), was given to Thom by the Bakiga tribe living on the border of Uganda and the Congo. Internationally know as an environmentalist, human-rights advocate, and educator, Mr. Henley has been the recipient of seven national and international human rights and conservation awards. In 1974 he championed the largest conservation campaign in Canadian history, the 13-year effort to protect the southern portion of the Queen Charlotte Archipelago as a national park reserve and UNESCO World Heritage Site. In 2005, the National Geographic Society judged the "Gwaii" Haanas National Park Reserve and Haida Heritage Site" the best national park in North America and it has become a global model for indigenous co-management of a protected area. 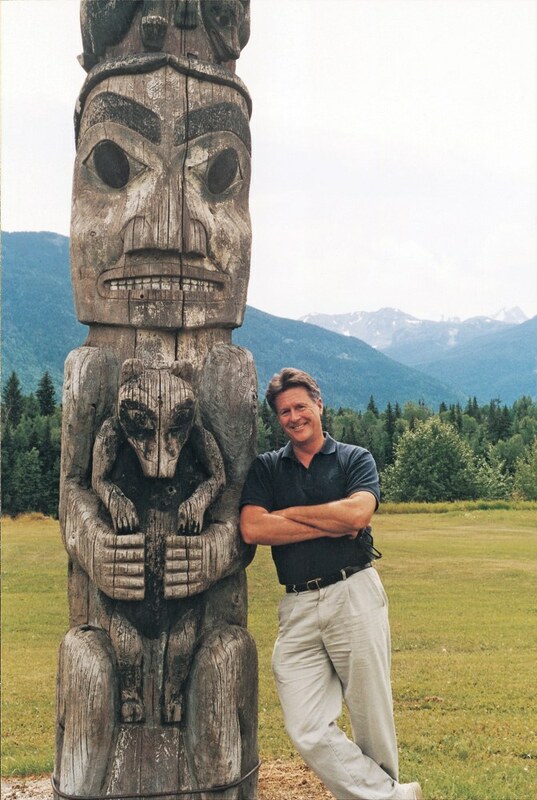 Together with Haida elders in 1978 Thom founded the Rediscovery program to put youth (often in crisis) back in touch with themselves, their culture and the natural world. Today there are Rediscovery programs operating in Canada, the USA, Europe and Asia and the program has been recognized as a global model for reconciliation. In 1990, Thom organized a world human rights tour for the Penan peoples of Sarawak, Borneo that took the message of their desperate plight to protect their rainforest homeland to 28 major cities in 16 countries on four continents. In 2005 he founded In Touch With Nature Education (ITWNE), a program that offers outdoor education immersion to students from some of Asia’s most prestigious schools. From the original “Reefs to Rainforests” program offered in Thailand, where students and teachers learn about 8 ecosystems in eight days, ITWNE has now expanded to offer learning adventures in 22 countries throughout the world.